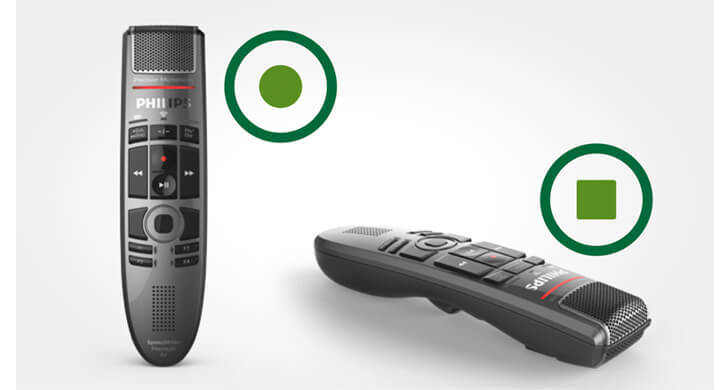 The integrated motion sensor, detects when it's put on the table, mutes the microphone, and once it is being picked up again it unmutes the microphone. 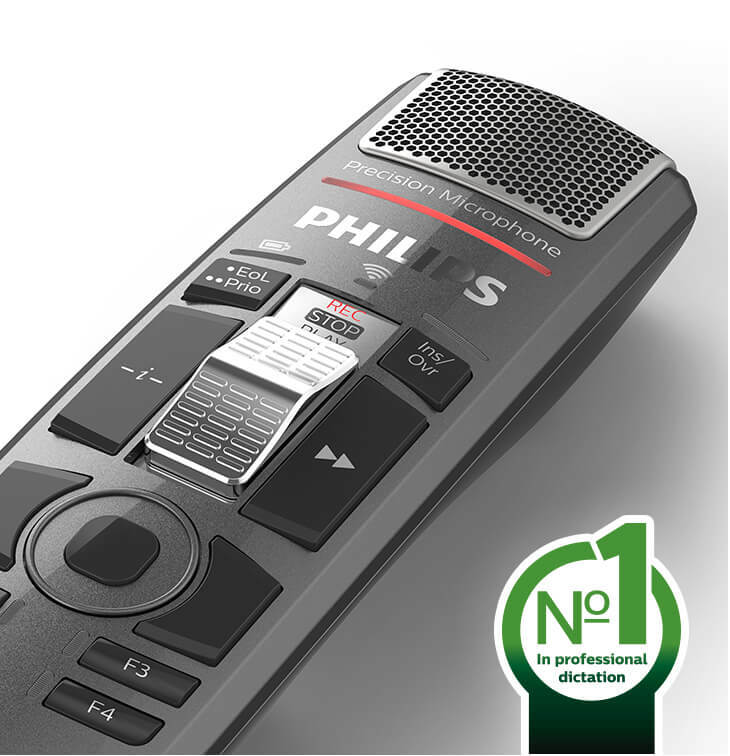 The next best thing in mobile dictation can be yours, order The SpeechMike Premium Air Today. 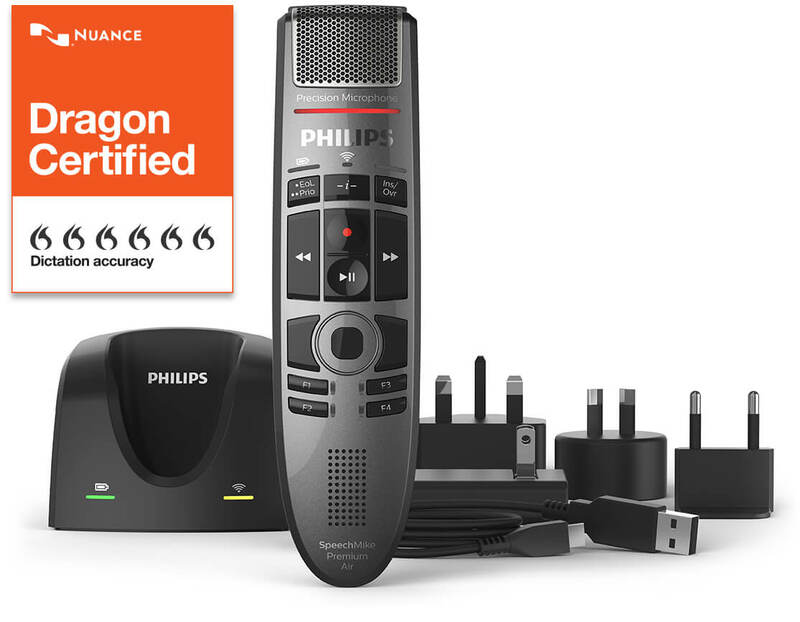 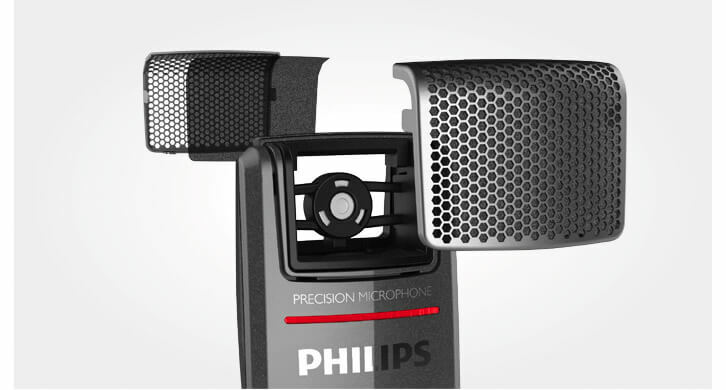 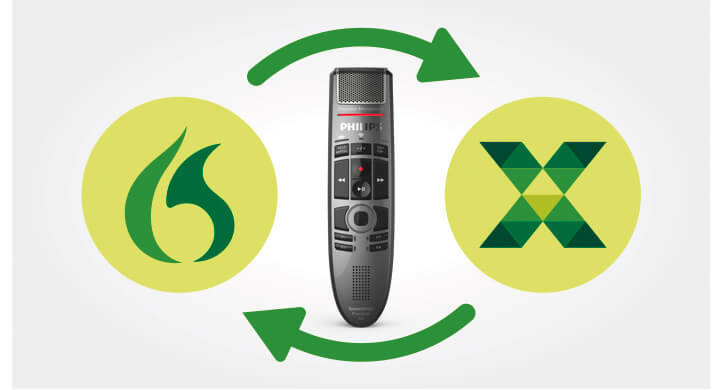 The Philips SpeechMike Premium Air is fully compatible with leading medical speech recognition products taking your speech recognition results to the next level.